This fall, the CSC Ottawa Chapter is offering the Principles of Construction Documentation (PCD) class, which serves as an important prerequisite to other CSC designations and certifications. When you come to Parliament on your first day, you wonder how you ever got here. After that, you wonder how the other 263 members got here,” said John Diefenbaker while addressing the Canadian speaker’s forum, the Empire Club, during the Canadian flag debate in 1967. 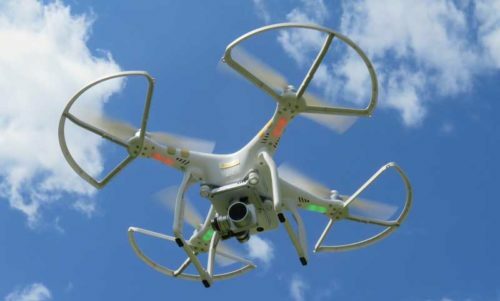 Drones are becoming a big topic in the design/construction world. It was unsurprising to see our feature on unmanned aerial vehicles (UAVs) make the top 10 list. Photo courtesy PJ Materials Consultants Ltd.
As the year winds down, Construction Canada shares the most popular features, columns, and news articles from 2016. Reread a favourite or check out a piece you missed the first time around. Concrete Cracking Problems: A Modern-day Phenomenon? What Does COP 21 Mean for Building Professionals?